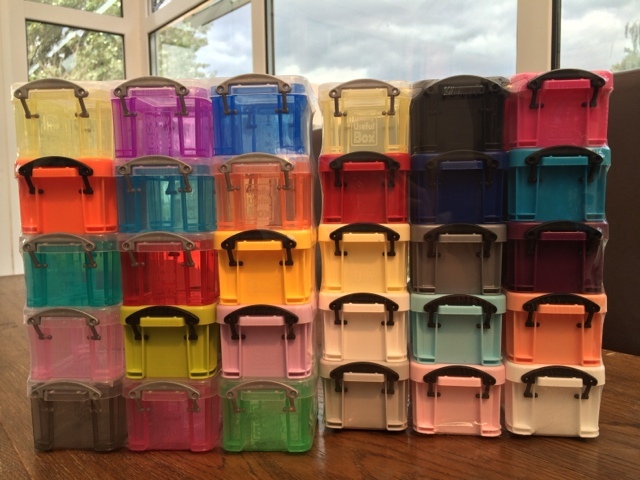 I was recently sent a set of 30 Really Useful mini storage boxes from Viking to review. These cute boxes individually are 65mm x 55mm x 90mm and stack neatly on top of each other. They are free standing although you can if you wish order a separate storage unit that will hold up to 16 of the boxes. As you can see the colour range is huge and you get a mixture of see through and non see through boxes. 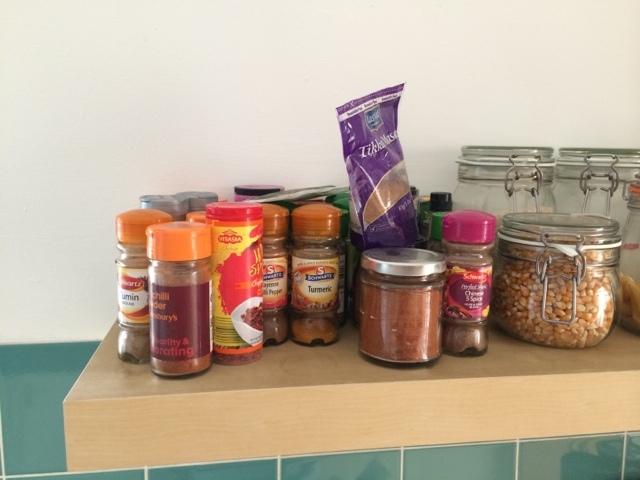 At first I was pretty stumped with what to store in them, I don't have craft supplies or DIY stores and if I took them into work they would slowly find their way onto other people's desks, but then searching for a specific spice jar one evening I knew exactly what I could use them for. This is the mess that greets me each time I cook. And this is how tidy it looked after! I still have 10 boxes left over so plenty of space to add herbs and spices as I need to. These boxes are not airtight or watertight so would not be suitable for storing liquids or perishables, but we get through spices quickly so they should be fine. They are waterproof so would be great for outdoor use such as fishing tackle or storing seeds. 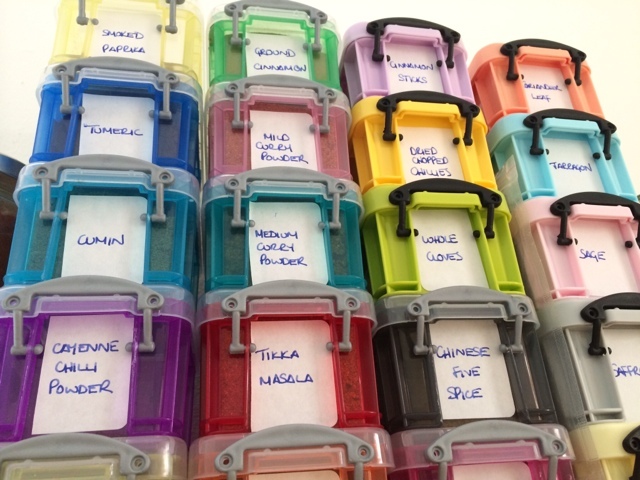 The various colours also makes it easier for you to colour code the contents, although I only thought of this once I had started labelling! It would have been useful to be supplied with labels to use on the boxes. I used my own sticky labels, cut down to size but you definitely need some way of identifying whats stored in the boxes, especially the non see through colours. The catches only give a light pressure on the lid, meaning that if you happen to be a klutz who drops things *cough* the contents will spill out. These boxes are currently reduce to £13.49 on the Viking website and the 16 box storage unit is £21.59. Next day delivery is free for orders over £30.00 or £2.90 for mainland UK orders under £30.00. 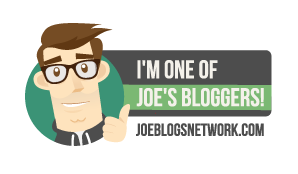 I received a complimentary 30 pack of Really Useful mini storage boxes for the purposes of this review, however all words and opinions remain my own. these look brilliant and i love that you put spices in them, i think i would have too. #TriedTested. Now I could do with these! These look fab and look so pretty too. 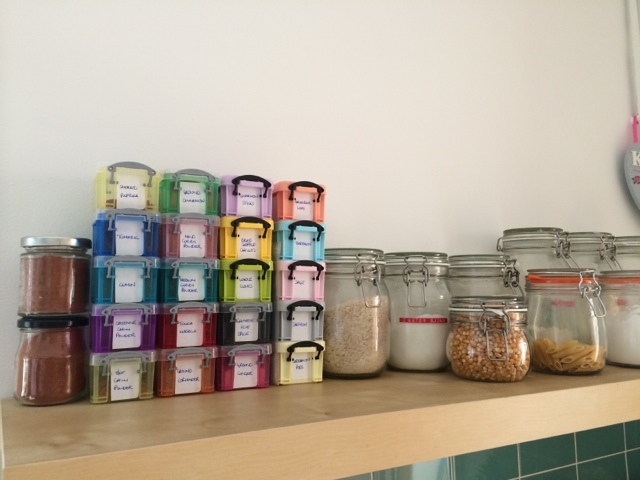 What a great way to organise your spices - I hate our spice collection!